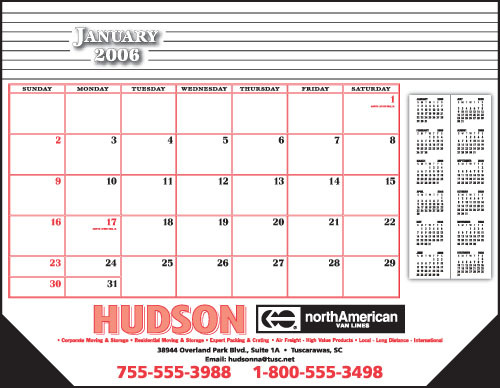 CustomLine X custom full-color desk pad. 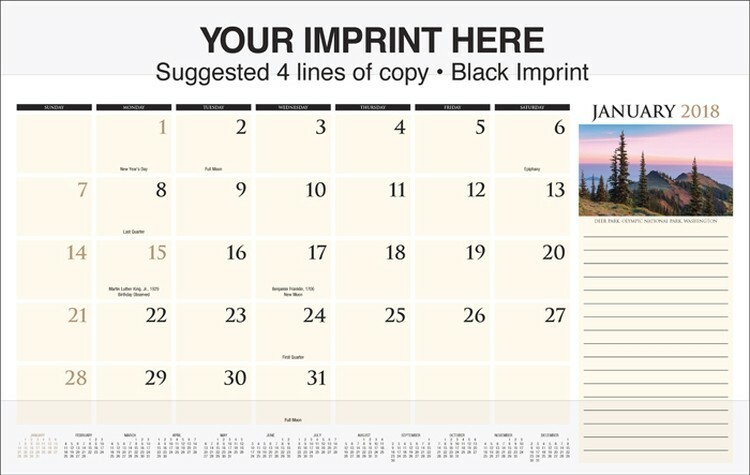 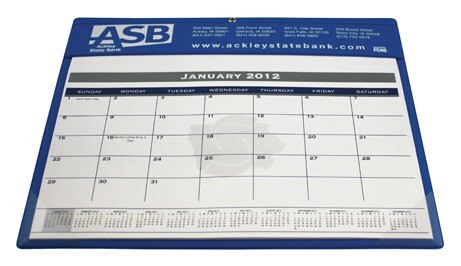 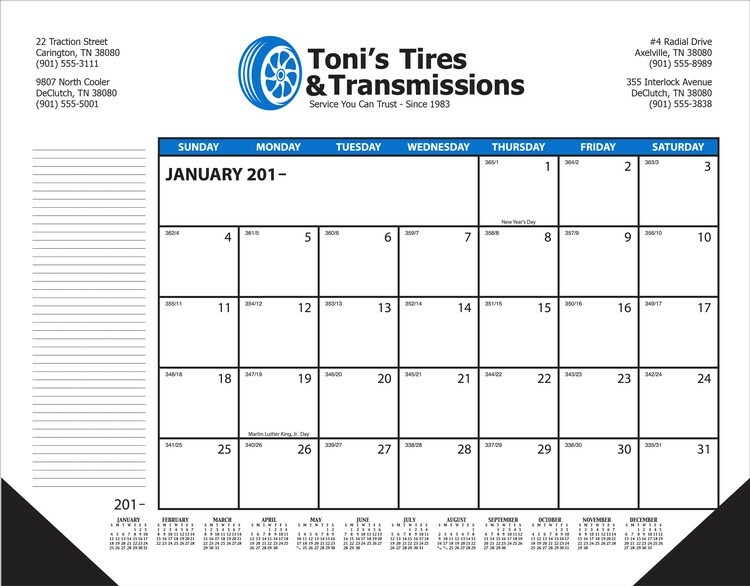 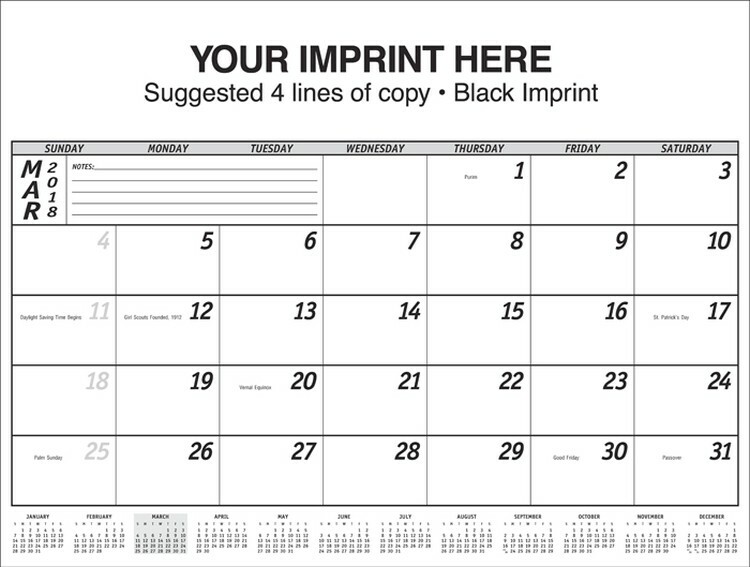 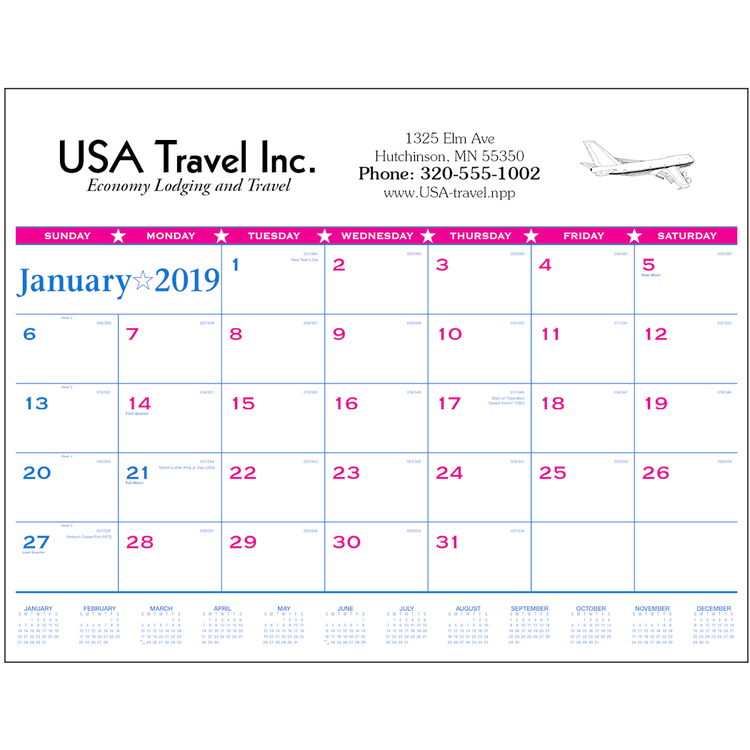 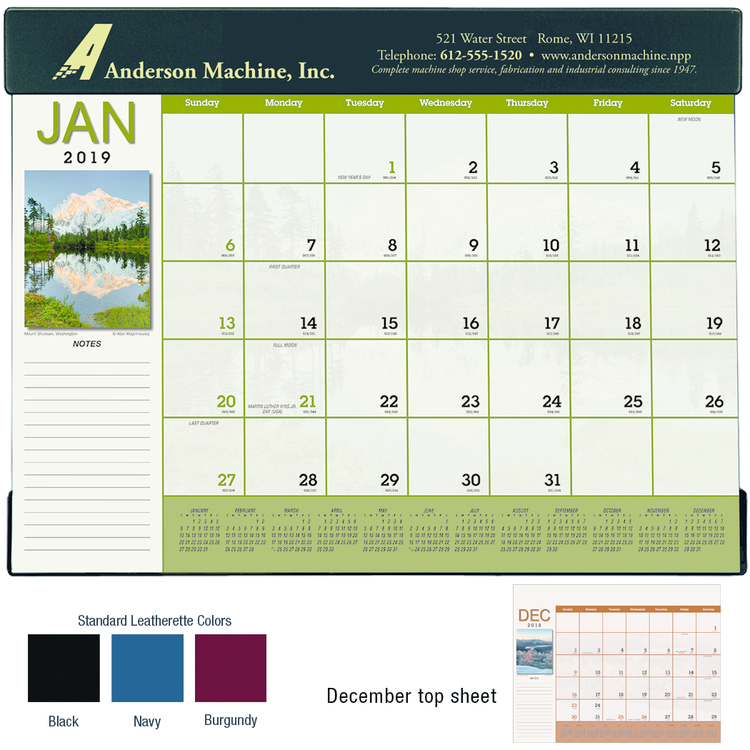 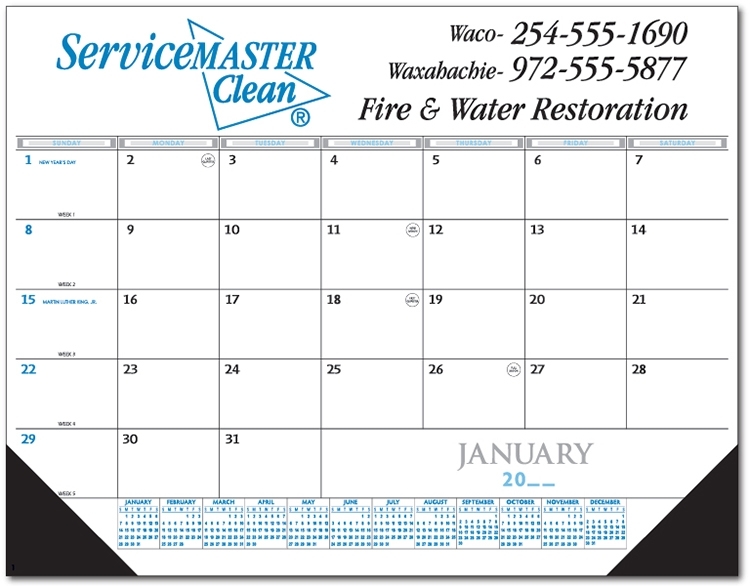 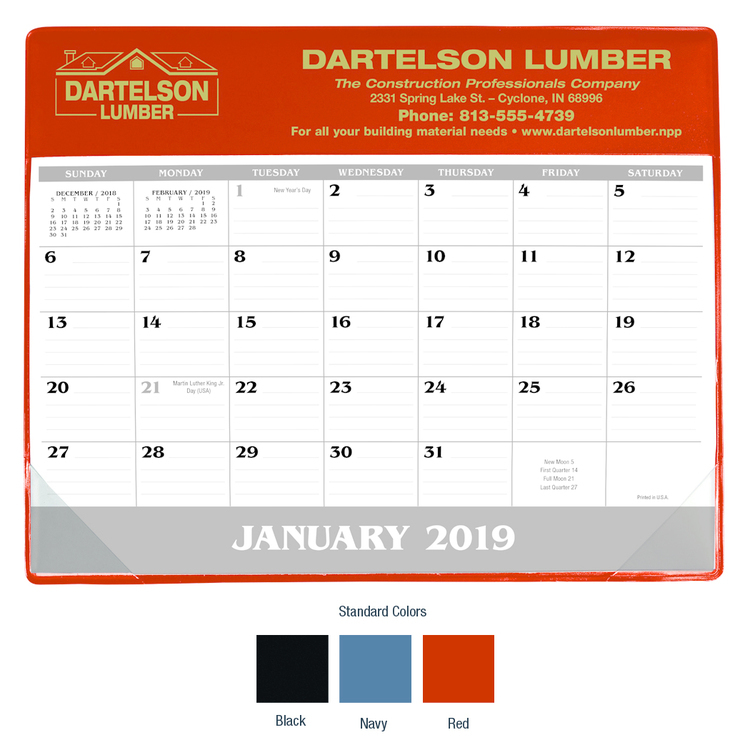 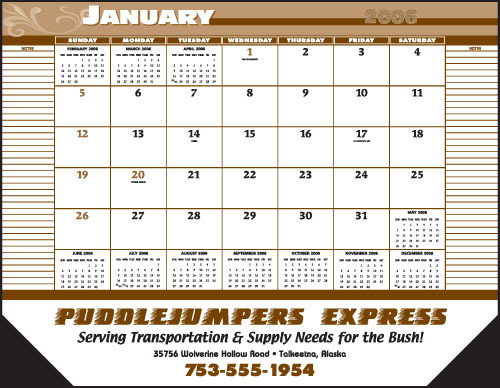 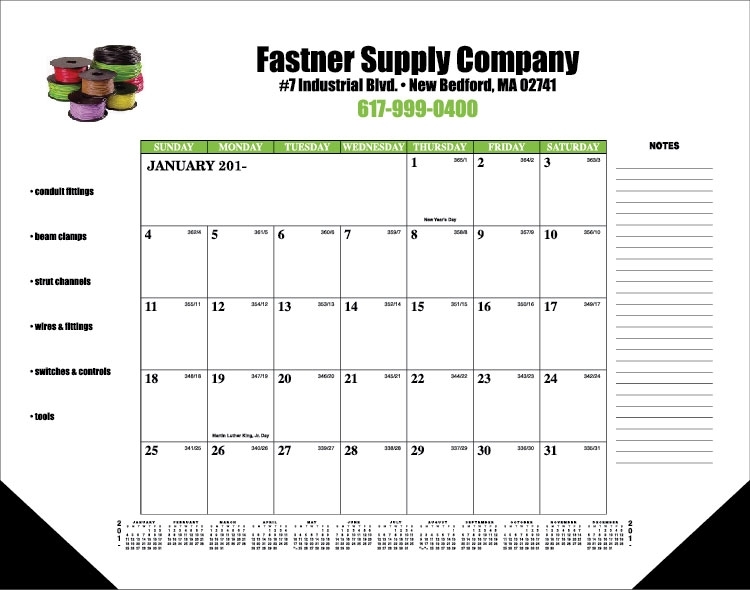 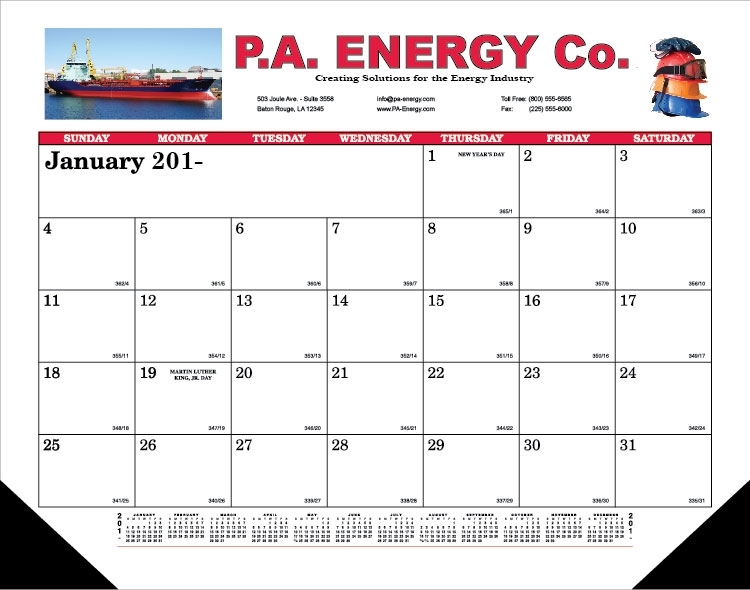 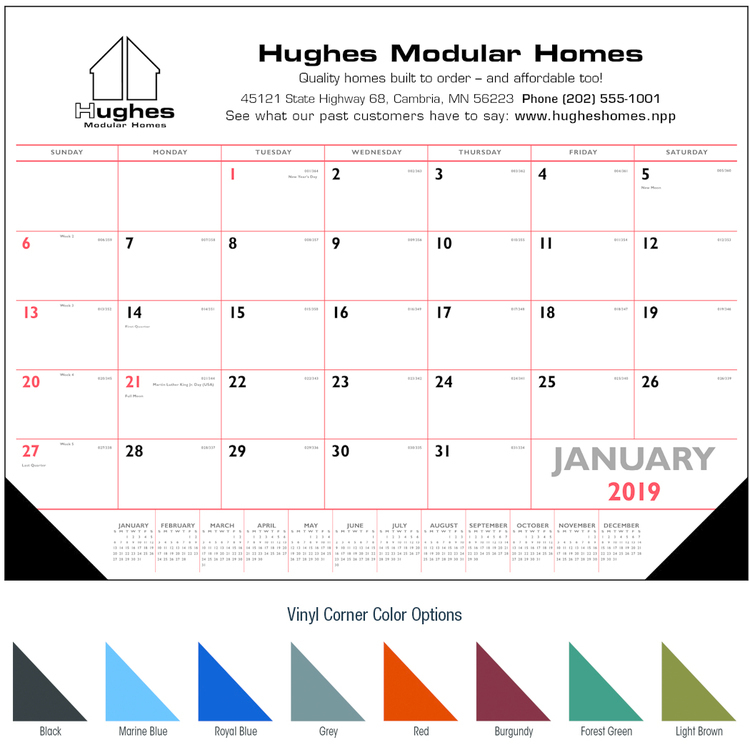 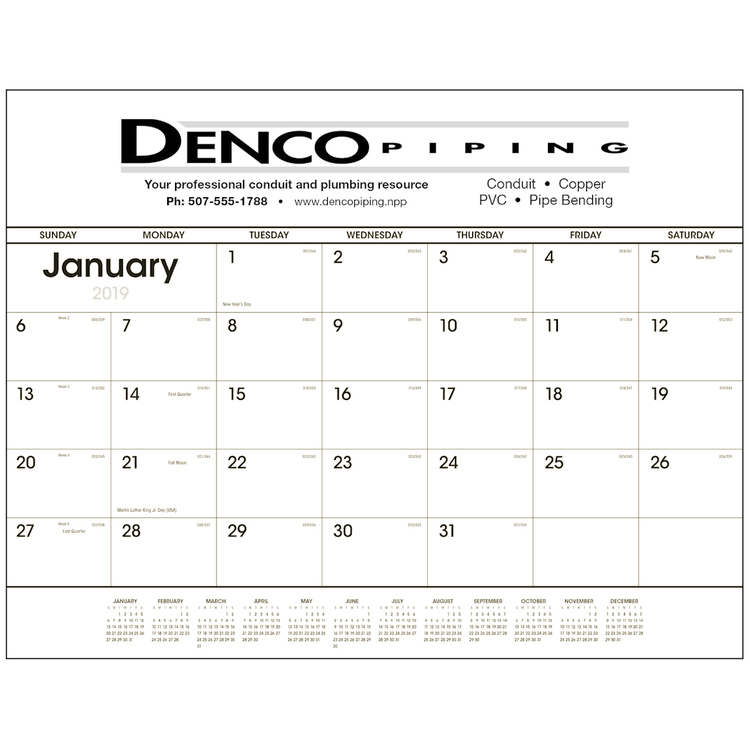 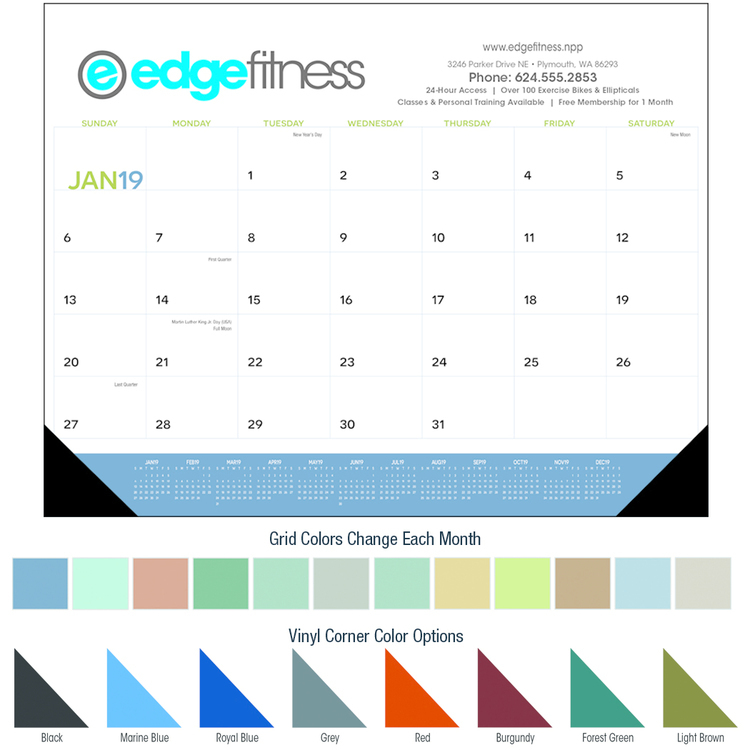 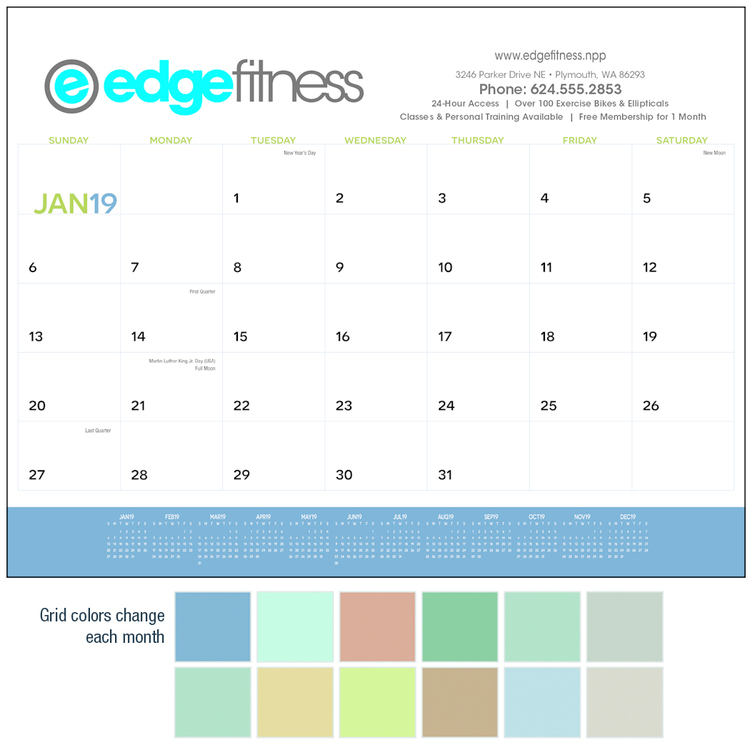 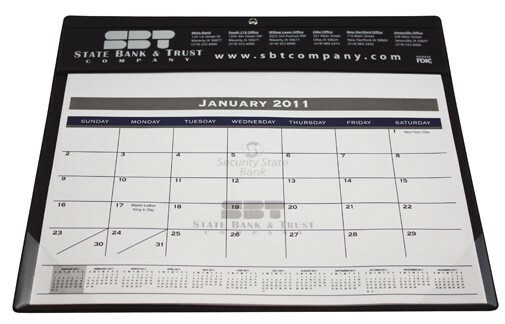 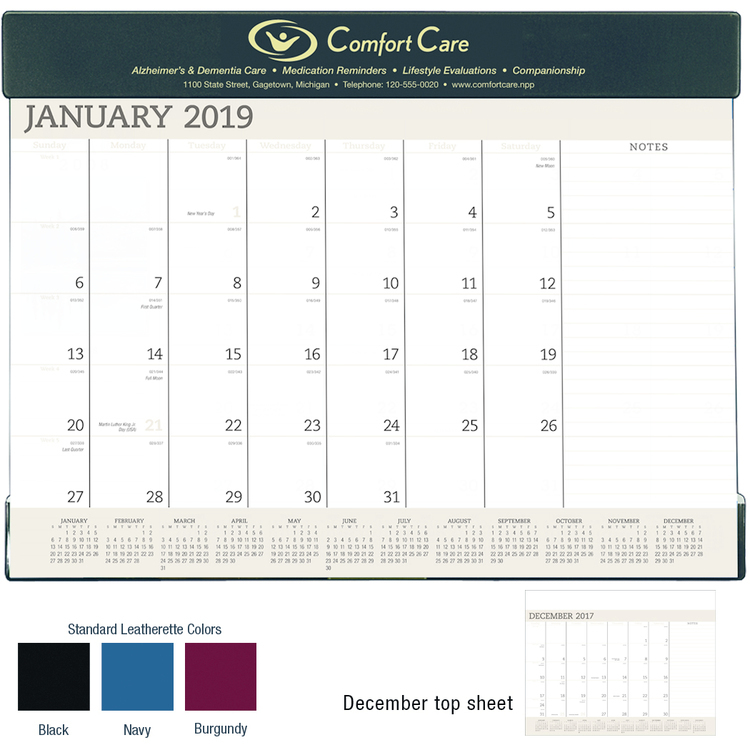 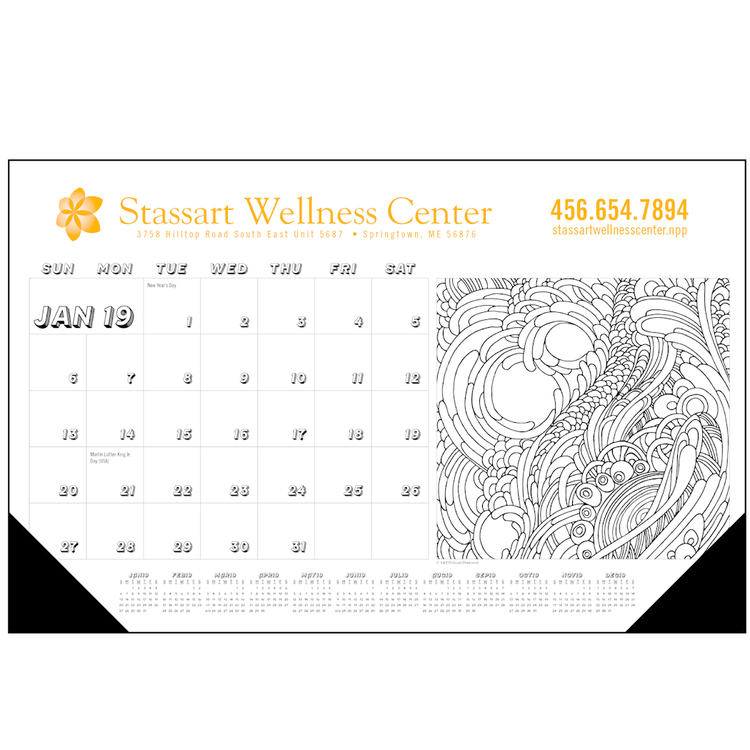 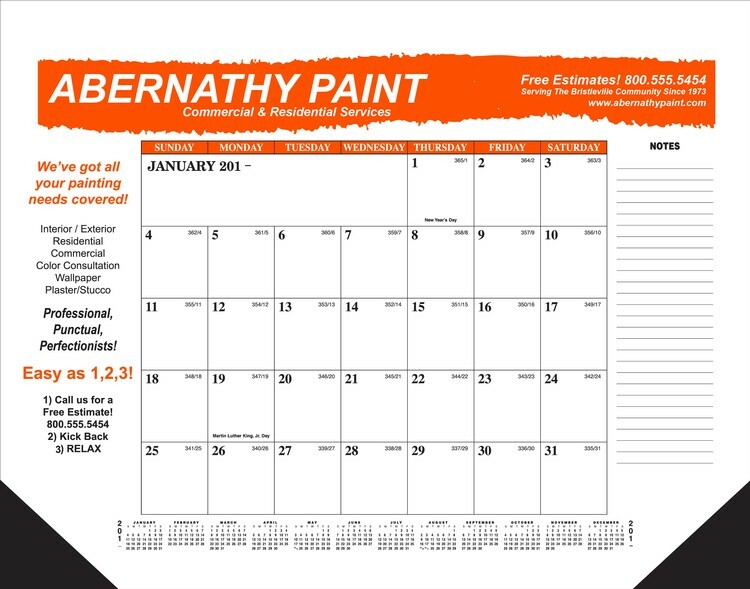 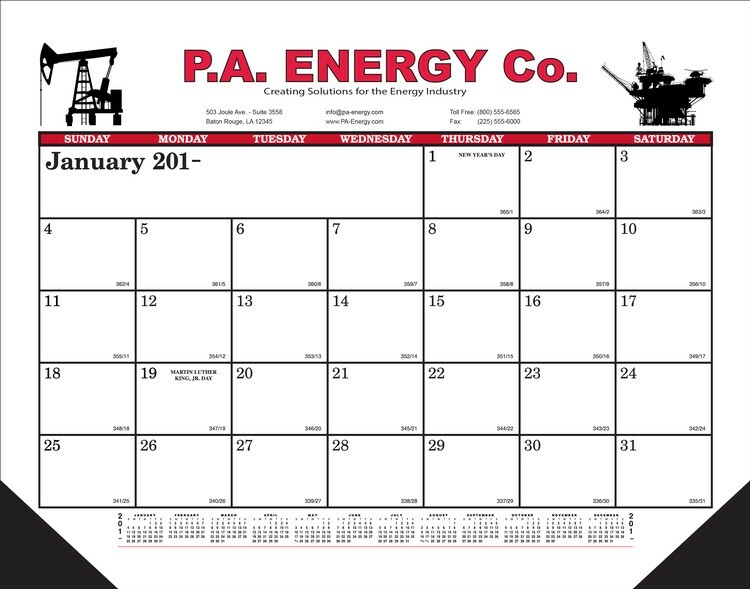 Create your own desk pad calendar with large ad imprint across the top. 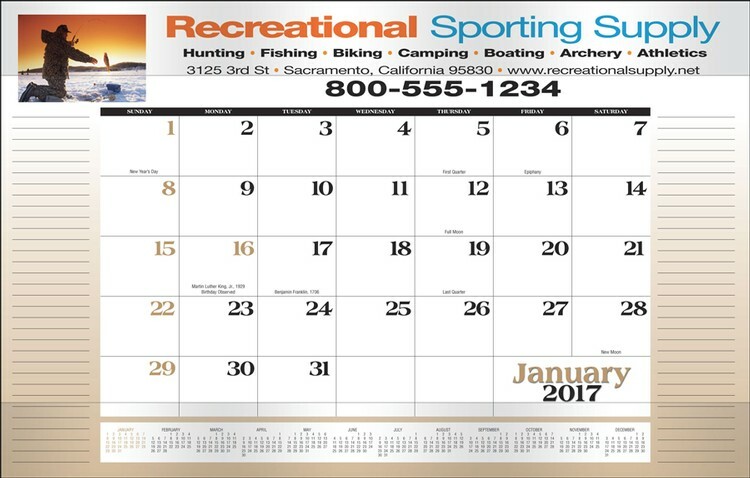 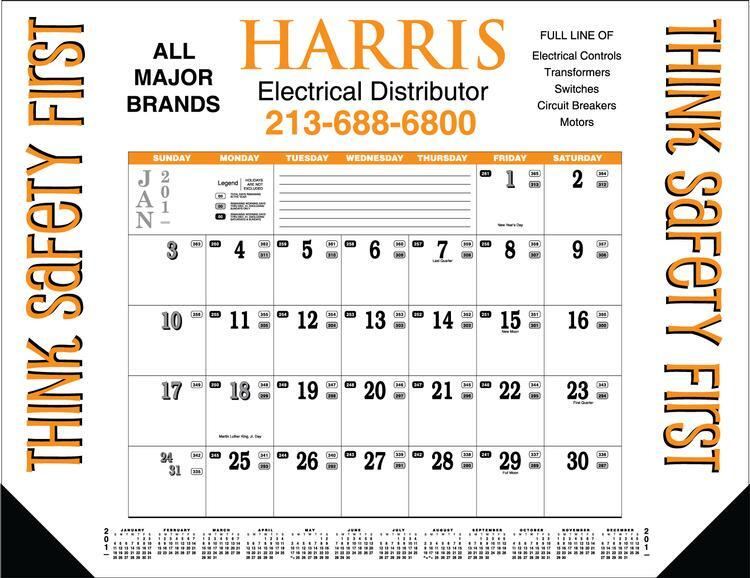 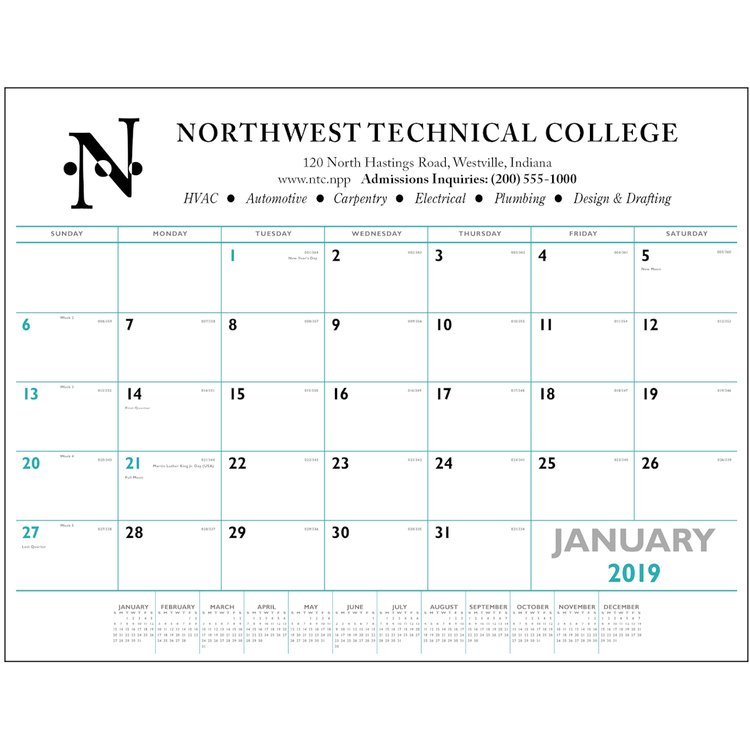 Calendar size: 14" x 22"; Large space ad: 20" x 2 3/4". 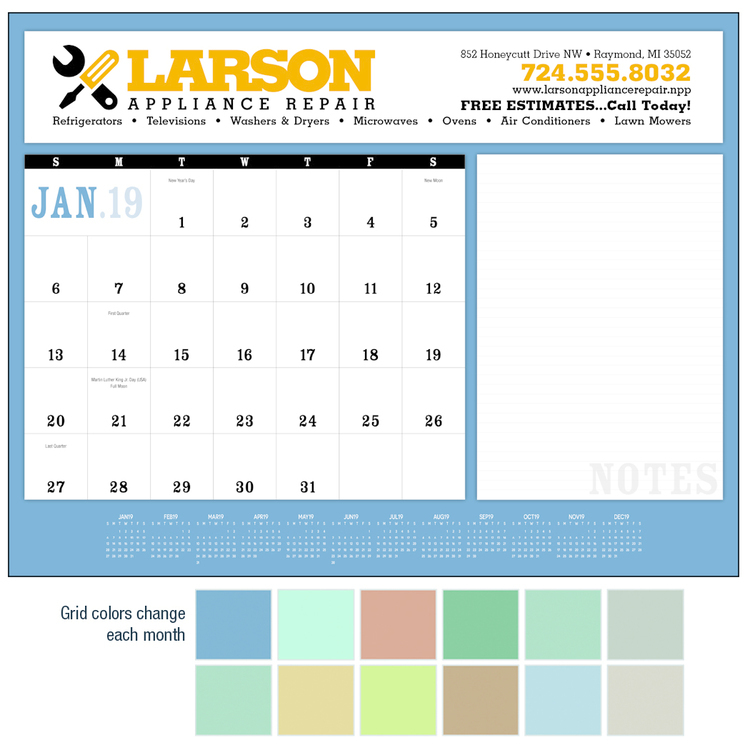 This 12 month calendar has lots of room for notes. 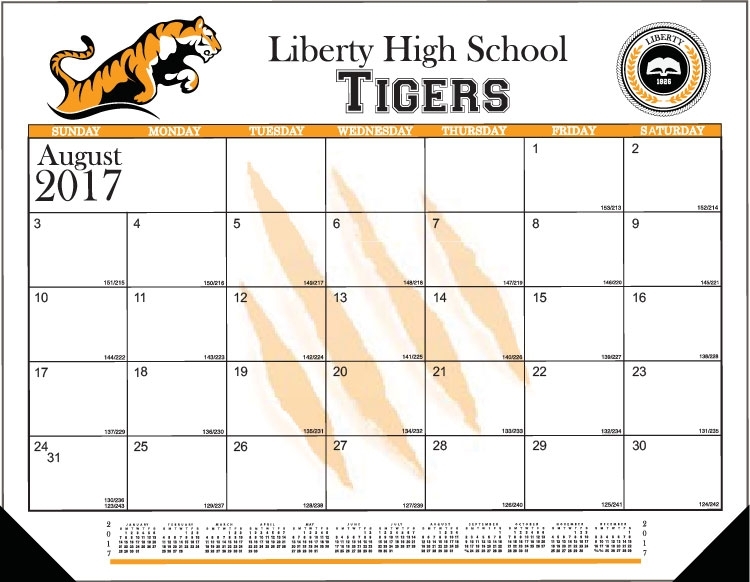 Full year-at-a-glance at the bottom. 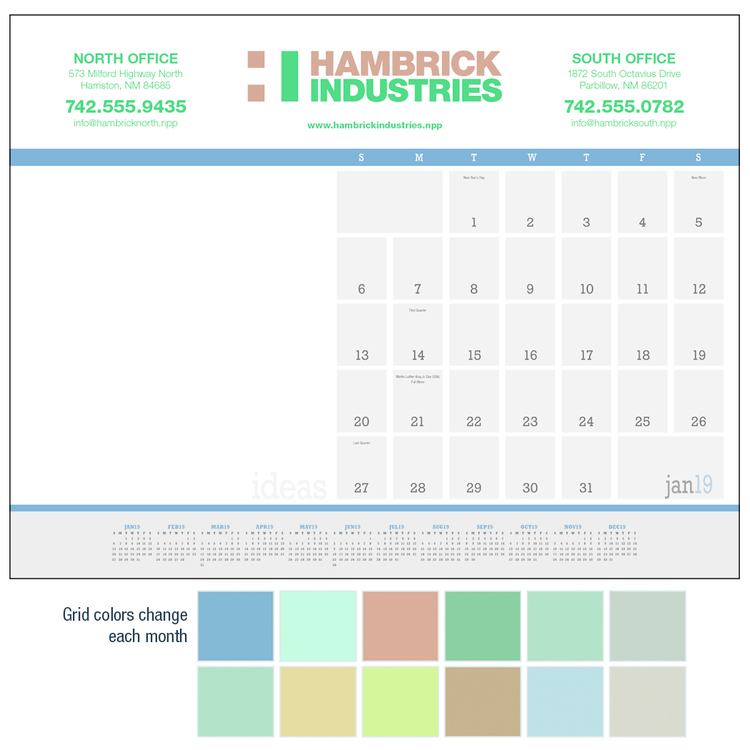 Large date blocks allow easy scheduling/notes/reminders. 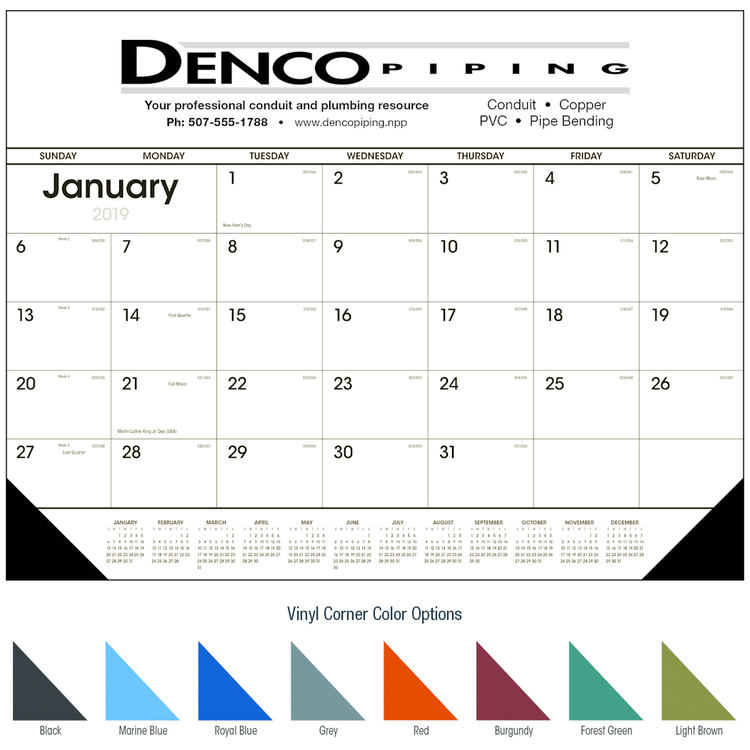 Clear vinyl protectors run the full length at top and bottom. 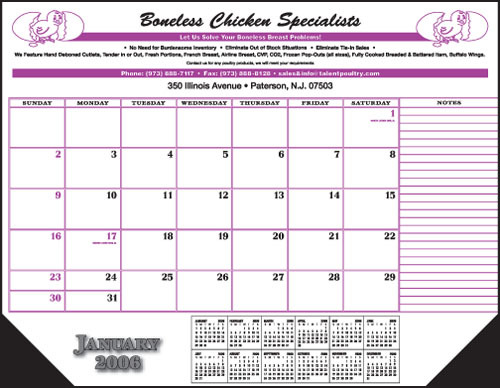 Your digital photos in full-color, minimum 6" x 4" at 300 dpi.